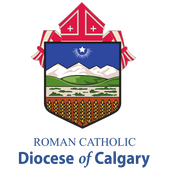 The Diocesan Youth Retreat Team (DYRT) began in the diocese of Calgary in the year 2000. A team of Young Adults were trained to work together and to facilitate retreats for Sacramental Preparation in the Parishes and End of Year retreats in the schools. The Team consists of 15-18 young adults, and they work on teams of 3-7 depending on the size of the retreat they are facilitating. End of year retreats for grades 6 and 9 have become very popular over the last years. - To go out and share our faith with the youth of our diocese.